We had a box of expired rolled oat in our pantry cupboard, which gives me an idea for our next sensory activity. Mix some oats and baby oil into a dough, it’s quite a textural experience. Let the child explore and create things with it. Baby oil should not be digested therefore this activity is not suitable for children who are still putting things in their mouth. 2-6 years of age would be recommended. Alex experimented with different sized measuring cups which helps him develop early math skills. It also gives him an opportunity to work on his problem solving and decision making skills as he determine how he’s going to use and stack the shaped dough. Put the plain flour into the container, gradually pour the baby oil and start to mix with your hands until all incorporated. Lastly, add the rolled oat and mix them well. 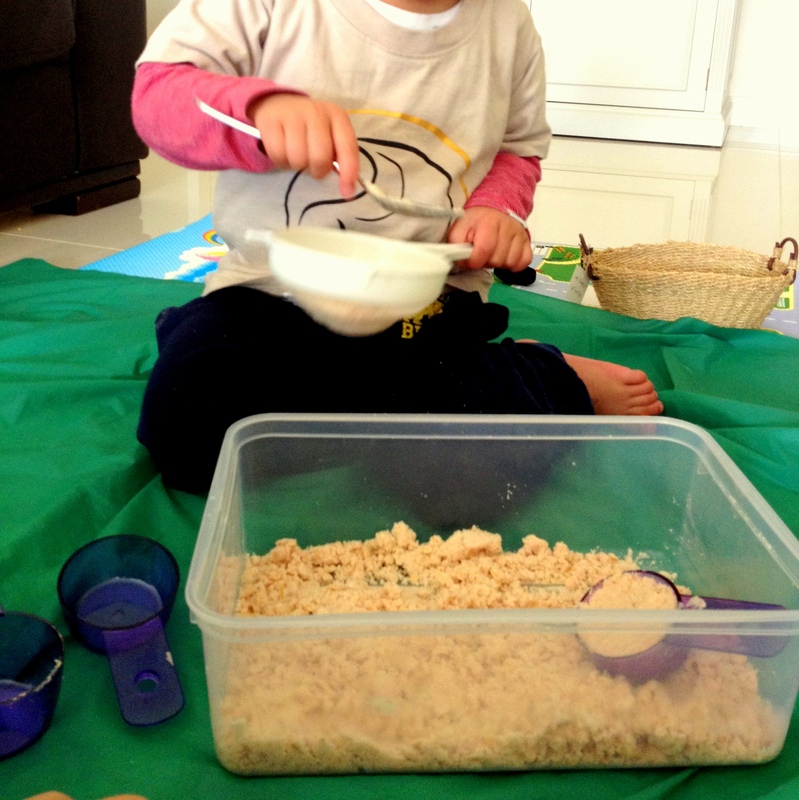 Provide the tools such as measuring cups or spoons and let the children explore. If you are doing this indoor, you might want to use a messy mat underneath the dough container. 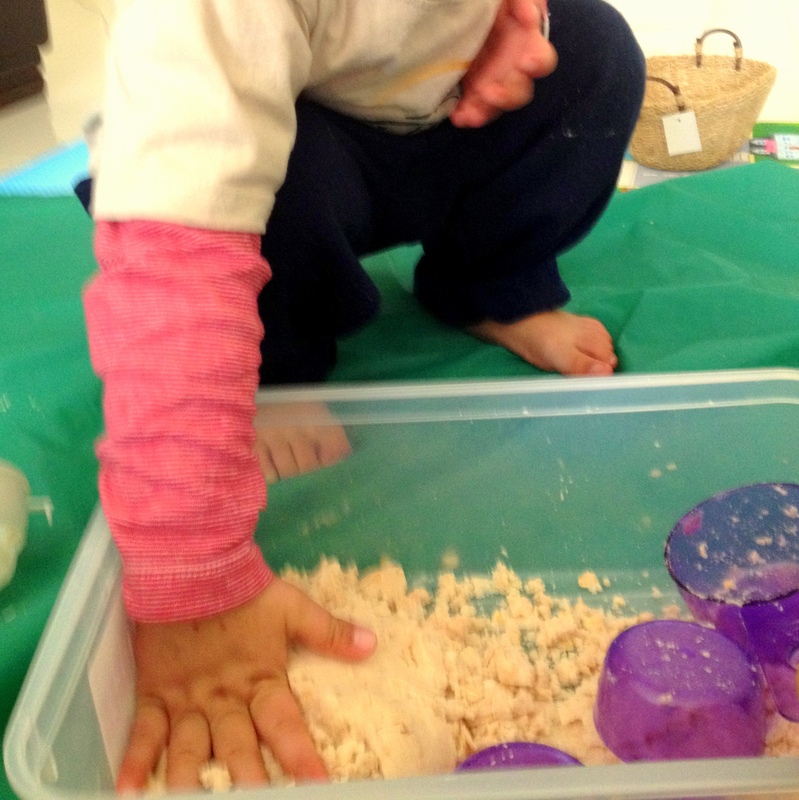 Posted in Early MathsTagged Creative Play Ideas, fine motor skills, Montessori at Home, sensoryBookmark the permalink.